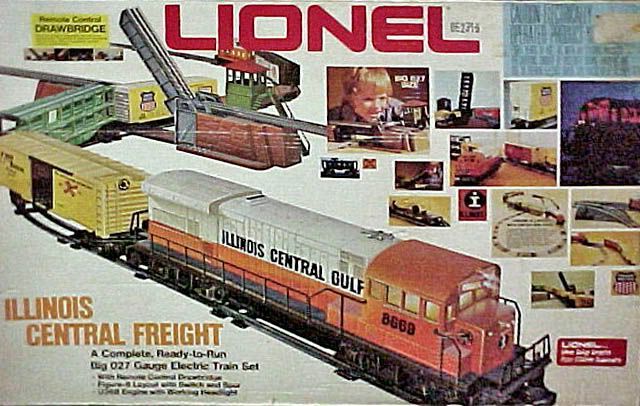 Set included an orange and white Illinois Central Gulf U36B (No. 6-8669) pulling a RailBox Box Car, Penn Central Auto Carrier, Southern Covered Hopper, Miller Billboard Reefer, L&N Flat Car with Scraper and an Illinois Central Gulf Lighted Caboose. Lionel's Automatic Drawbridge (No. 6-2317) was included in the set. The track plan built a large figure 8 layout with spur. 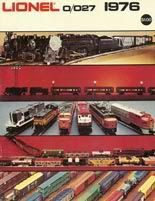 Set included an NYC 4-6-4 steam engine, Great Northern box car, NYC stock car, Southern covered hopper, Sunoco tank car, and NYC caboose.